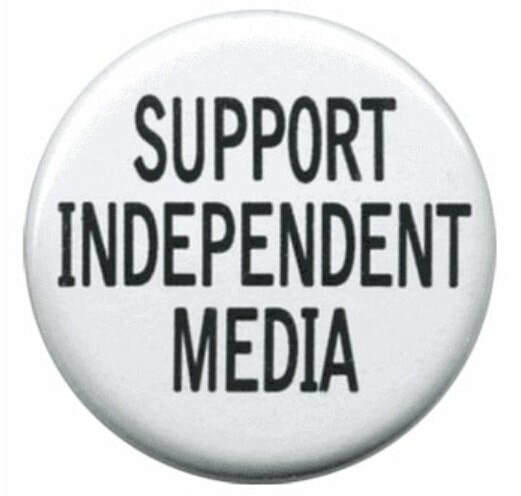 ​BE A FREE AND INDEPENDENT NEWS ADVOCATE! ​Americans need to become aware of news sources other than the mainstream media. It is essential that the public question the validity of their news. With only a tiny number of companies controlling what the vast majority of us see, hear, and read, it is critical that the public realize that there are alternatives. It is not only an important part of being an informed and engaged citizen, it is critical to our nation remaining a democracy. ​BE AN ADVOCATE FOR FREE AND INDEPENDENT NEWS SOURCES! The following sources fall into categories unto their own. The first list is a group of fiercely independent reporters who believe in old school journalism with their own websites and articles; the second includes several sites that encourage whistleblowers and print the information they receive. This is an additional list of alternative news sources. It was compiled by Jacob Curtis and he initially released it on Facebook. It's not complete, but there's plenty here. These links below are old and may not work. Please bare with me as I have to update this listing. Now why would you want to get your news from other sources? Because the majority of news outlets are owned by large corporations with malicious political intentions and/or financial agendas. Long story short, you can't trust them to not blatantly lie or at least "spin" their stories with some heavy bias. It's really nothing short of propoganda, and brainwashing in the most extreme cases (and it's definitely the worst in the US since it was made legal SEE STORY HERE ). Here are included a few mainstream sources, as it's interesting to compare the way in which they present news with the alternative sources. If you want to share this with others, simply copy and paste.